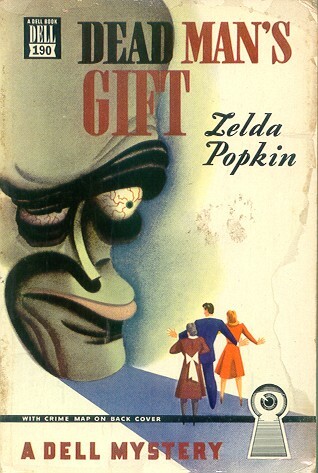 Zelda Popkin (1898-1983), my grandmother, was a novelist whose most successful book, The Journey Home, sold nearly a million copiesenough to make any academic like myself envious. Her books, which include a series of mystery novels starring an independent-minded woman detective, one of the earliest American novels to focus on the Holocaust, and the first novel in English about the Israeli struggle for independence and survival in 1948, provide interesting insights into how American women and American Jews faced the great issues of the mid-twentieth century. Out of personal interest, I am doing research on some aspects of Popkins career. This Web page is intended to help others who may want to learn more about Zelda Popkins career and her books. Zelda Popkin archives update: In August 2007, the Popkin family donated a collection of Zelda Popkin's personal letters to her son and daughter-in-law (Richard H. and Juliet Popkin) to the Howard Gottlieb Archival Research Center at Boston University, which also houses Zelda Popkin's literary papers. This series of around 300 letters spans the years from 1943 to 1983 and thus covers most of Zelda Popkin's literary career. Popkin published six detective novels from 1938 to 1944. The first five formed a series with a woman detective, Mary Carner, as their protagonist. While Mary Carner was not the first woman detective to feature in such a series, she was quite liberated for her day: she frequently solved her cases while her husband stayed at home to babysit the couple's daughter. The paperback versions of Popkin's detective novels appeared in Dell Books' popular 'map-back' series, with lurid front covers and back covers offering maps of the key locations in the stories. 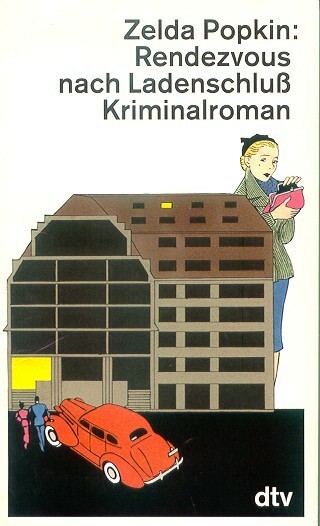 All six of these detective novels appeared in German translation in the 1990s, and three were translated into French during the same period. 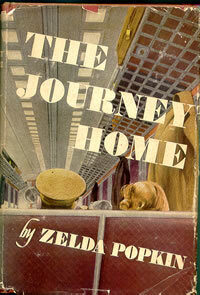 The Journey Home (Lippincott, 1945; Dell pb 1945): the story of the encounter between a soldier returning from overseas and a young career woman, set against the dramatic background of a violent train wreck (based on Popkins personal experience as a survivor of the highly publicized wreck of the Congresssional Limited in 1943). The Journey Home sold nearly a million copies; letters to Popkin show that it was well received by soldiers who had served in World War II. The book received the honor of a negative review by the young and then largely unknown Saul Bellow in one of the early issues of Commentary magazine. Small Victory (Lippincott, 1947): based on Popkins observations in the post-World War II displaced persons camps, which she visited on behalf of the American Red Cross in the winter of 1945-46. The principal characters are American gentiles, but this was one of the earliest American novels in which Jewish survivors of the Holocaust played significant roles. Walk Through the Valley (Lippincott, 1949): the story of a woman who has to recover her independence and make a new life for herself after the sudden death of her husband. This novel strongly reflects Popkins personal experience after the death of her husband, Louis Popkin, in 1943. 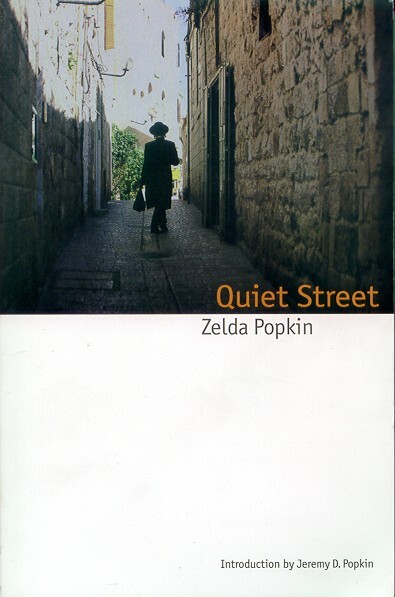 Quiet Street (Lippincott, 1951; Bison Books pb, 2002): Popkin visited the newly established Jewish state of Israel in the fall of 1948, just after the declaration of independence. This novel was the first American work of fiction devoted to the subject. It is of particular interest because the story is largely told through women characters. Open Every Door (E. P. Dutton, 1956): Originally conceived as a biography of Popkins husband Louis, with whom she had run one of the first professional public-relations firms in New York from the 1920s to the early 1940s, this book developed instead into the authors autobiography, recounting her childhood in small towns in New Jersey and eastern Pennsylvania and her subsequent career. The major source for Popkins life. Herman Had Two Daughters (Lippincott, 1968; Dell pb 1970): Popkin reworked the story of her early life into this novel about a Jewish family in small-town America in the first half of the twentieth century. This book was her first major commercial success since The Journey Home and enabled her to enjoy a renewed career until old age and illness stopped her from writing. A Death of Innocence (Lippincott, 1971): the story of a middle-class mother confronting a child who has become involved in a serious crime. A Death of Innocence was made into a television movie in the early 1970s and was translated into Spanish (Inocencia violada, 1972). Dear Once (Lippincott, 1975; New American Library pb, 1975): based in part on family stories and Popkins experiences living in New York and Montreal. Zelda Popkins literary papers are housed in the Howard Gottlieb Archival Research Center department of the Mugar Library, Boston University, as part of the Contemporary American Authors collection. The fourteen cartons of documents include the typed manuscripts of Popkins novels, background materials she gathered in preparing her books, correspondence with her editors, with other authors and with personal friends, letters from readers, press clippings (primarily reviews of her books), royalty statements, and some materials concerning her trip to Europe in 1945-6 and her public-relations activities in the 1950s. There are scattered letters from a number of people with whom Popkin came in contact, including Eleanor Roosevelt, the sportscaster Red Barber, and other American Jewish woman authors such as Marie Syrkin and Ruth Gruber. The Special Collections department has a summary inventory of the collection, which is primarily organized into files dealing with each individual book. In August 2007, the Popkin family donated copies of letters from Zelda Popkin to her son and daughter-in-law (Richard H. and Juliet Popkin) from the years 1943 to 1983. Members of the Popkin family have some of Popkins personal correspondence, primarily letters written to Zelda Popkin by other members of the family. These include perhaps 500 letters and postcards from Popkins father, Harry Feinberg, spanning the years 1938-1959, and approximately 100 letters from Palestine/Israel written by her sister Helen Rossi Koussewitsky, who lived in Jerusalem from 1936 onward and wrote extensively for the Palestine Post (later Jerusalem Post). Biographical information provided by Zelda Popkin herself can be found in her autobiography, Open Every Door (E. P. Dutton, 1956), and her entry in Contemporary Authors, first revision, vs. 25-8 (1977). Scholarship on Zelda Popkins novels includes Kathleen Gregory Klein, The Woman Detective: Gender and Genre (University of Illinois Press, 1988), pp. 143-6 (on the Mary Carner detective novels and their place in the development of mystery literature), Jeremy D. Popkin, "A Forgotten Forerunner: Zelda Popkins Novels of the Holocaust and the 1948 War," in Shofar v. 20 (fall 2001), pp. 37-60, Ellen Serlen Uffen, Strands of the Cable: The Place of the Past in Jewish American Womens Writing (Peter Lang, 1994), pp. 95-109 (on Popkins novel of American Jewish family life, Herman Had Two Daughters), and Mary Jean DeMarr, "The Mysteries of Zelda Popkin," _Clues: A Journal of Detection_ 3 (1982), 1-8.